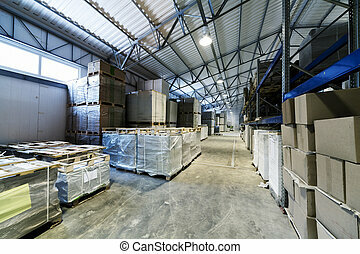 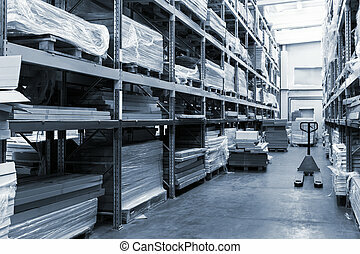 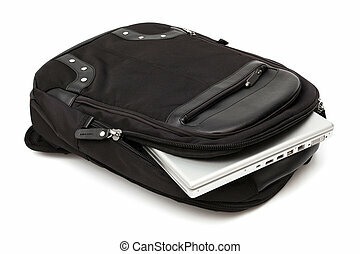 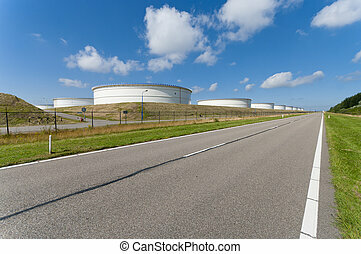 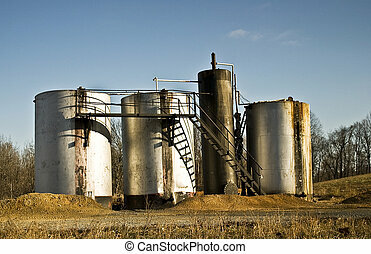 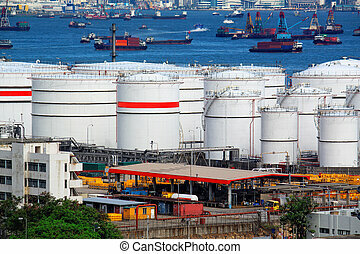 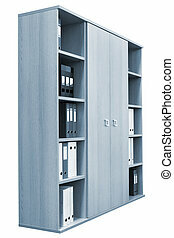 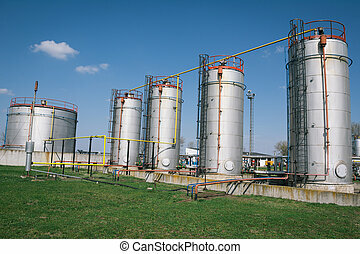 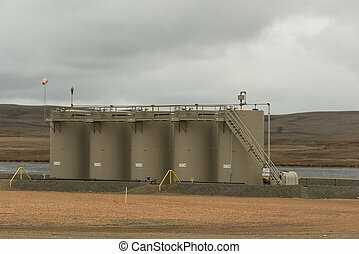 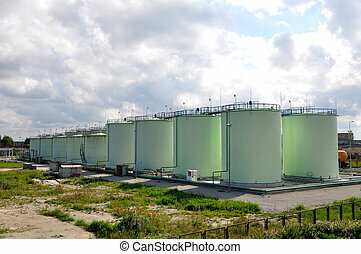 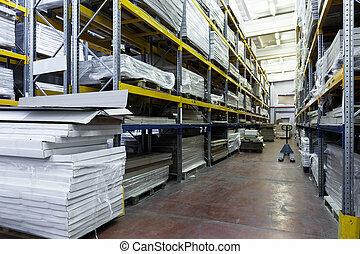 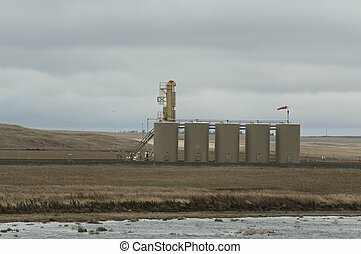 A oil storage. 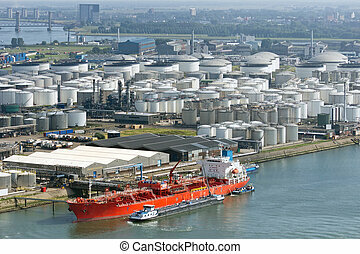 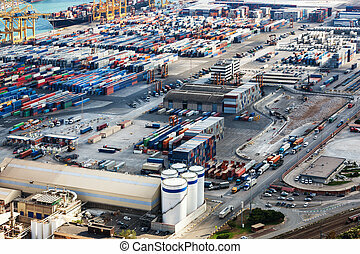 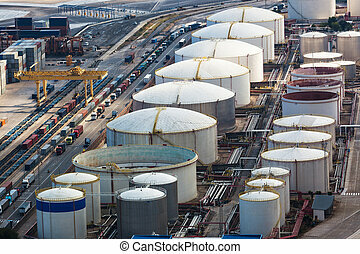 Oil storage in the modern port. 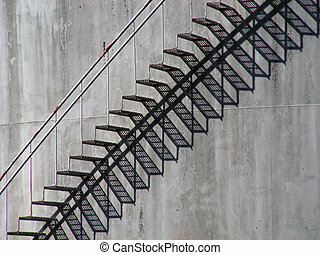 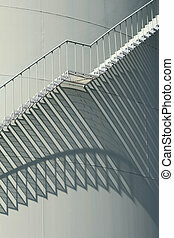 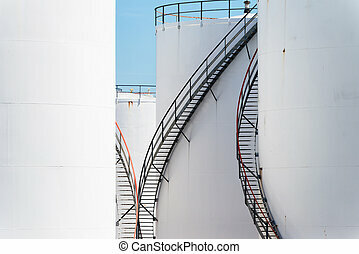 Sunlight makes a shadow pattern of steps on the side of a huge oil storage tank. 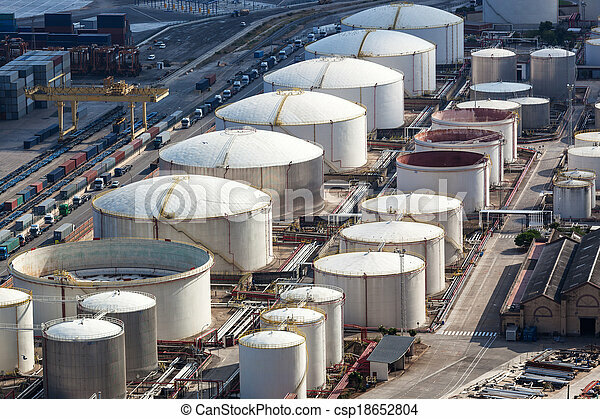 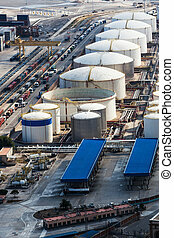 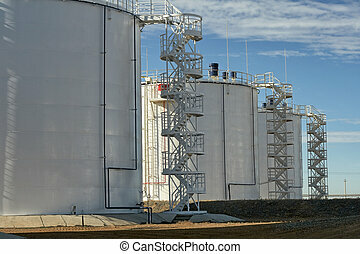 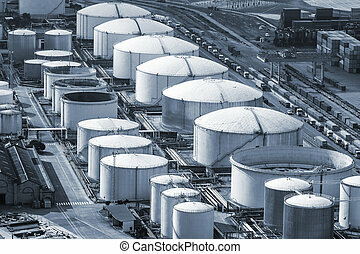 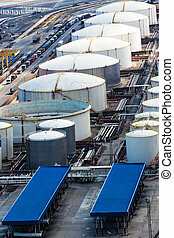 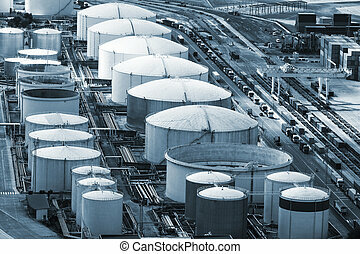 Large white oil storage tanks at a refinery. 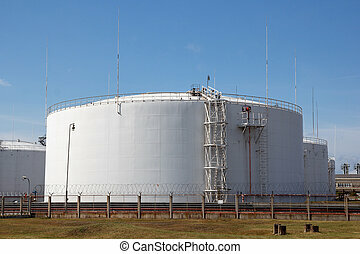 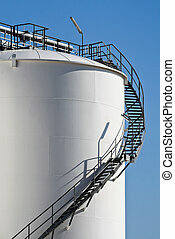 A white tall oil storage tank at a refinery. 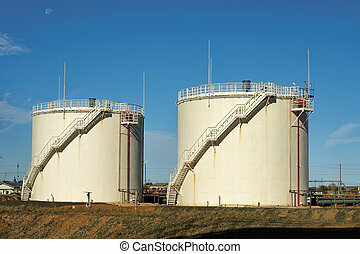 Vertical steel tanks for the storage of oil on a background of blue sky.